Razz poker is one of the newest additions to the online poker world but has been popular in brick and mortar casinos since the early 1980′s. 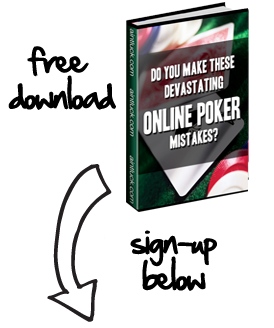 You’ll find that Razz poker rules are much the same as the rules of Seven Card Stud apart from the fact that when playing Razz hands are ranked using lowball poker hand rankings, more specifically the ace to five lowball hand rankings. This article will deal with Razz poker rules and the Razz hand rankings system used to determine the winner of any hand at showdown. When playing poker using the A-5 hand rankings A-2-3-4-5, known as the wheel, is always the nuts. The wheel is to Razz what a Royal Flush is to Texas Holdem except it’s a lot easier to make a wheel than it is to make a Royal Flush. Straights and flushes do not count for anything when playing Razz, they are totally disregarded which means even if your A-2-3-4-5 is of the same suit it’s still the best possible hand you an make. Hands are ranked using their highest card first. For example if I hold A-2-3-4-7 and you hold 2-3-4-5-6 the 2-3-4-5-6 will always beat the A-2-3-4-7 because it is considered a 6 low where as I only have a 7 low. If the two highest cards are the same then the next card is used to determine the winner. For example this time I have 2-3-4-5-7 and you hold A-2-5-6-7 then my 7-5 low will always beat your 7-6 low. If you’re struggling with this part of the rules then it sometimes helps to look at hands backwards, things become a little more obvious. Using the above example looking at the hands backwards they’d read; 7-5-4-3-2 and 7-6-5-2-A. When playing Razz, after players have been dealt their first three cards (two face down and one face up) the player with the highest card on display must bring in the action. Sometimes the value of this card is the same and therefore suits are used to determine which player must post the bring in. The suits are ranked in the following order from best to worst; Spades, Hearts, Diamonds and lastly Clubs. When you reach the showdown in any game of Razz poker the player who was last to bet is always the first player to reveal their cards. It doesn’t matter what your position at the table is if you bet last then you always show your hand first. This is done because the player who bet last is assumed to have the best hands, obviously this isn’t always the case, and the players behind him or her can then muck their hands without showing.